Want to know how to make your sources, God, and everyone else in your city hate you as a journalist? 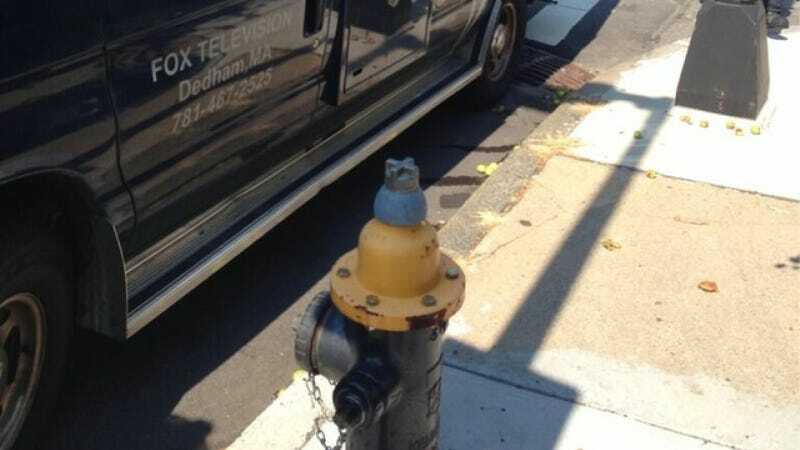 Park your news van in front of a fire hydrant during a 5-alarm fire at a church. I mean, it's fine. Go ahead and park the van there. Don't worry about the church that's burning to the ground. The important thing is you get to be on TV. Make sure your hair looks real good, now. Hat tip to Intending Acceleration!